INSTEAD lets talk about what an AMAZING day I had! 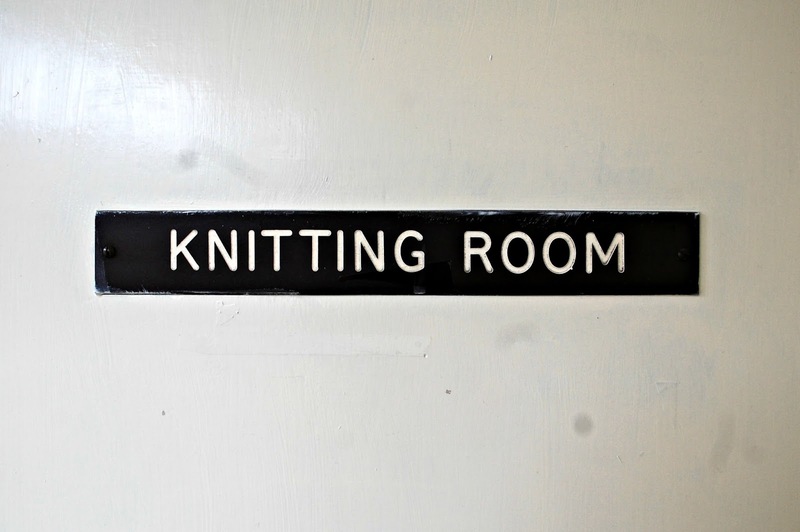 Truly, the day was wonderful, exceptional, interesting, the people were a delight, the place was full of information and stories - and of course, yarn, patterns, and a knitting room for crying out loud. As we were taken around I tried my best to take some notes on my phone for this post, and I managed to get a lot down. But this is really a gushing, picture driven reflection of the wonderful day that was had. This trip was part of the prize for winning Online Knitter of the Year with Knit Now. 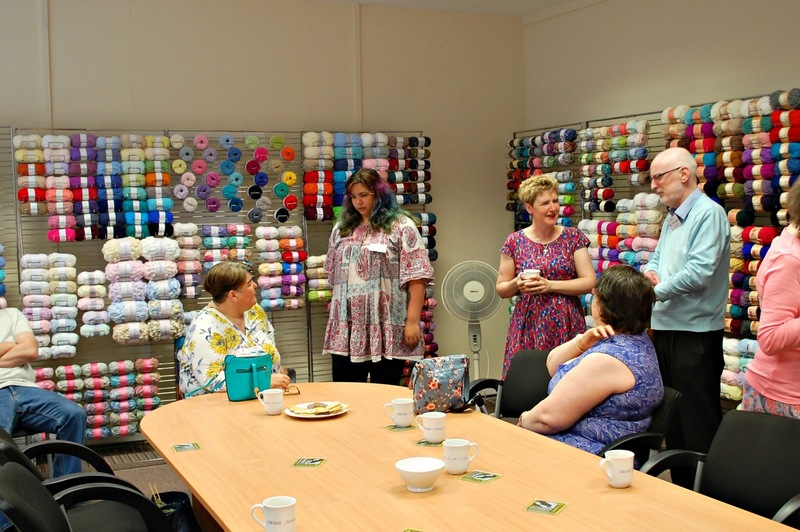 Myself and other competition winners met with Kate from Knit Now, and Ruth from Practical Publishing, at Sirdar's headquarters in Wakefield at around 10am to start the day with chats, biscuits and coffee (is there any other way to start a day?). We were greeted by the managing director, marketing assistants and executives, and sales director who told us a little bit about the company, before we started the morning tour of the facilities. Everyone was give name badges, but I must apologise profusely to the Sirdar team - I remember barely any names! Be sure to visit Sirdar's page about the company, if you would like to learn a little bit more about their history. 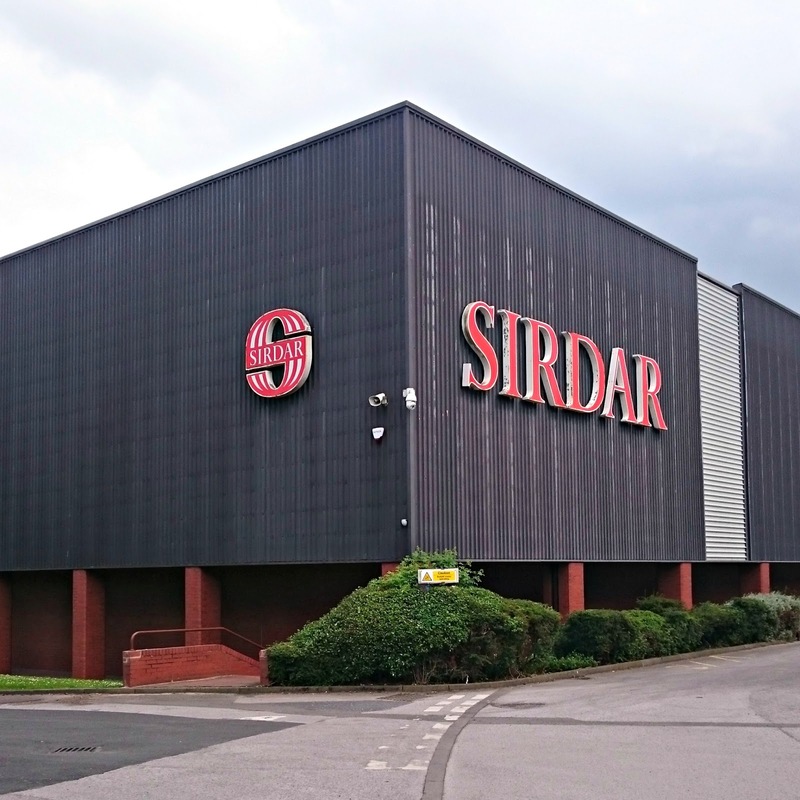 Sirdar has been established on that site for 126 years, and employs a full time staff of 131. They no longer manufacture the wool on site, but they only stopped the manufacturing process a few years ago, following the trend of other British wool companies, and to account for a fall in profit. Even though they don't manufacture it in Britain anymore, they go through stringent and regular quality control procedures and checks to make sure the quality of the brand matches its long history. 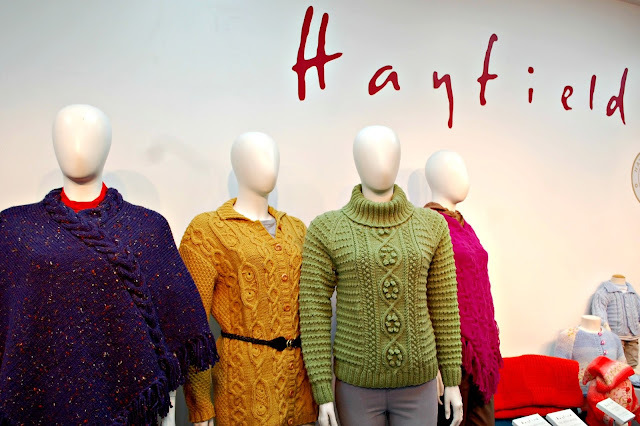 One example is the close relationship they share with a factory in Turkey which supplies 70% (I believe) the yarn they distribute; they send out employees every 5 weeks to the factory, to spend a week there making sure everything is up to scratch! The factory even uses the same machines that used to be housed in Sirdar, right in Wakefield. Similar visits occur, though less frequently, to factories in Italy and China. We were taken to visit the warehouse in which they store the bulk of their wool. 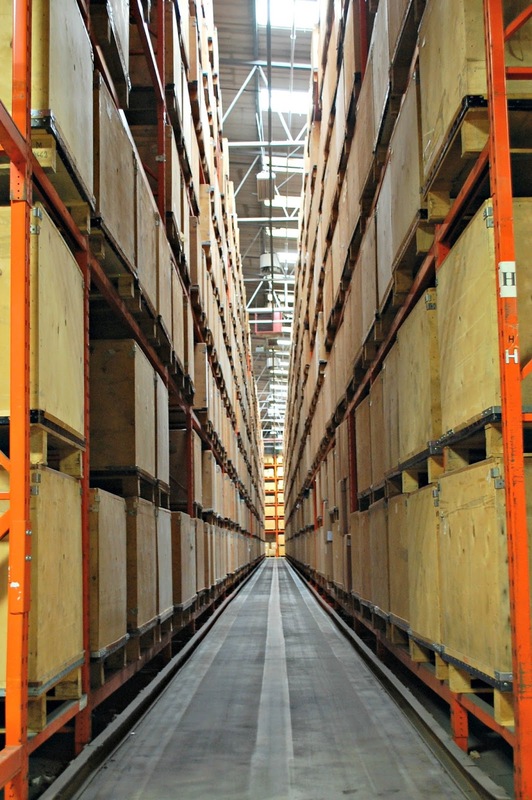 There are 6000 storage points in the large warehouse, which was impressive to look at to say the least! 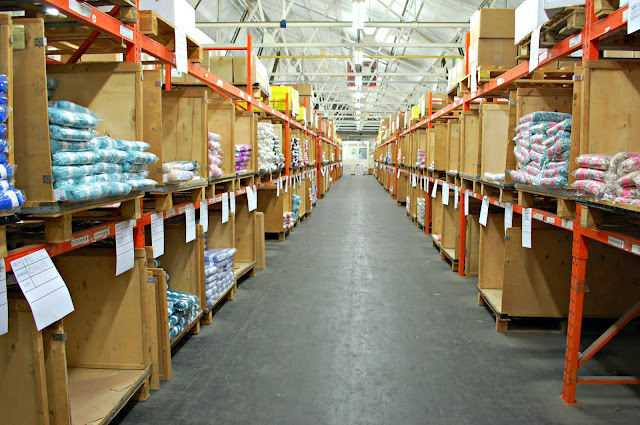 The smell of the warehouse reminded me vividly of the storeroom at Toys R Us, where I worked for a time over one Christmas in college. As we gazed at the tall, narrow corridors of wooden crates, we were told that each box can hold around 100 balls of wool at a time, so we were likely standing in a room of over half a million packs* of wool. I've never heard 20+ women collectively gasp with pleasure at the same time before - at this point I knew I was in excellent company. After the main warehouse came the 'picking' warehouse - the midway point for orders to be filled, between the huge warehouse that is totally computer recorded, and distribution. Multiple orders are filled in this room, by employees who walk round and literally pick up what they need to fill their sheet. As this room isn't recorded by computers, wool is stored in a snaking pattern around the room, ordered by quality (low to high) to make everything easier to locate. Sirdar supplies to retaliers all across the country, large and small. They don't use wholesalers, and they do also distribute all around the world too! In the last 18 months a warehouse and supplier was set up in the US, so good news for American readers. When supplying around the world, they mainly serve English speaking countries, purely to save on pattern translation. 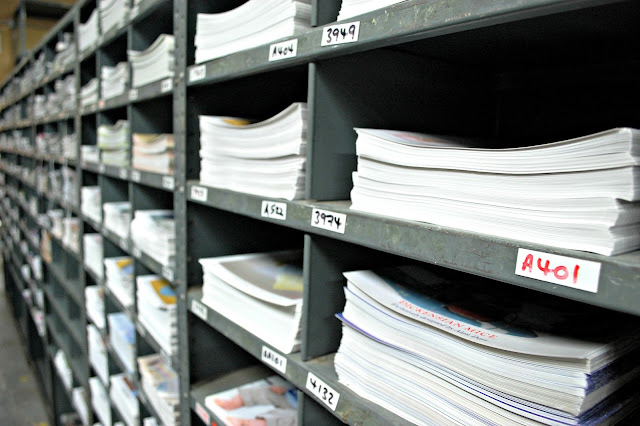 All orders are also packaged, labelled, and processed on site. A specially designed, bespoke wrapping machine collates orders together and wraps them in large plastic bags for shipping, with built-in scales to weight the orders. It was all so much more fun to watch than I anticipated! Orders to be delivered are picked up around 1pm and 5pm each day, and aim to reach the stores that ordered them within 2 days. Ah patterns patterns patterns - what use would all this scrumptious wool be without patterns! After the warehouses, we were shown the, surprisingly small, printers that allow Sirdar to print 2 and 4 page leaflets (patterns) in house. The designs are made upstairs, and the PDF files put together, and whizzed down happily to these machines that can churn them out I can tell you. 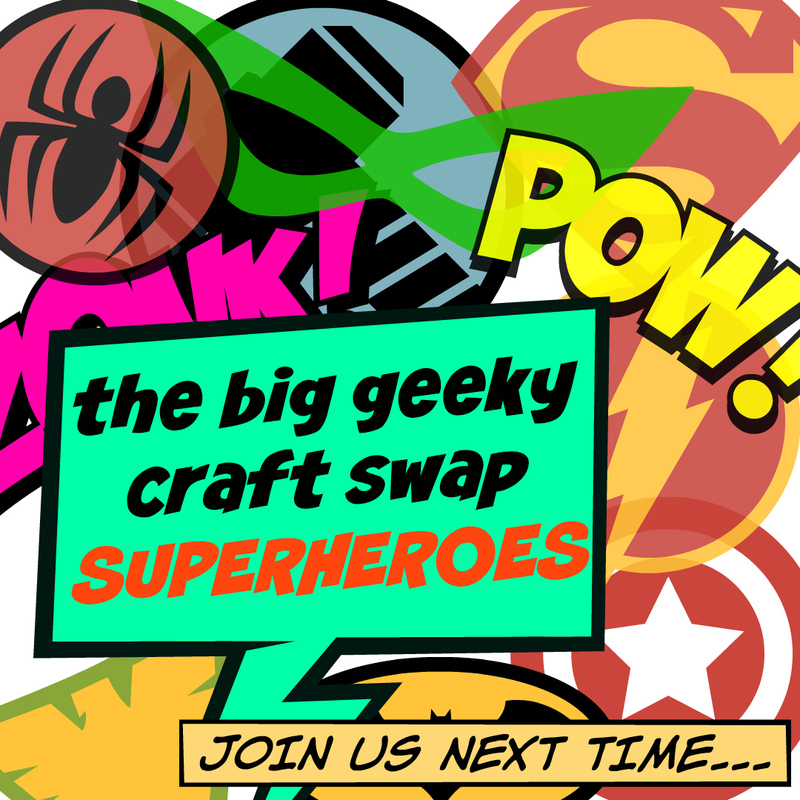 The smaller pattern leaflets are printed in house on small runs of a few hundred, so that if there is a mistake it doesn't cost too much to re-do. Larger booklets are printed at a printing company. It was very clear that a great deal of though was constantly given to balancing the cost of doing something, with making sure a high standard of quality was continually met, as being such a well established brand they have an image to maintain. In my humble opinion, this really shone through throughout the whole day. You still with me? Good - because now comes the AWESOME part of the day. I do remember the name of the head of design - Julie! She was lovely. 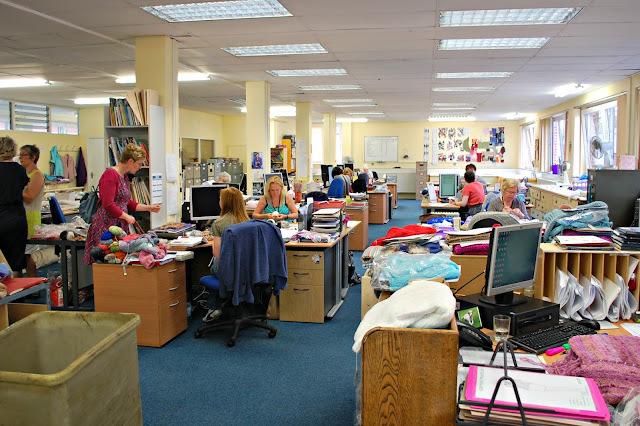 She took us up to the design room where the magic happens; and even though everything they were working on was confidential, we were allowed to freely wander round the room and speak with designers, knitters, seamstresses, everyone. Each year the team at Sirdar produce upwards of 500 designs (!) 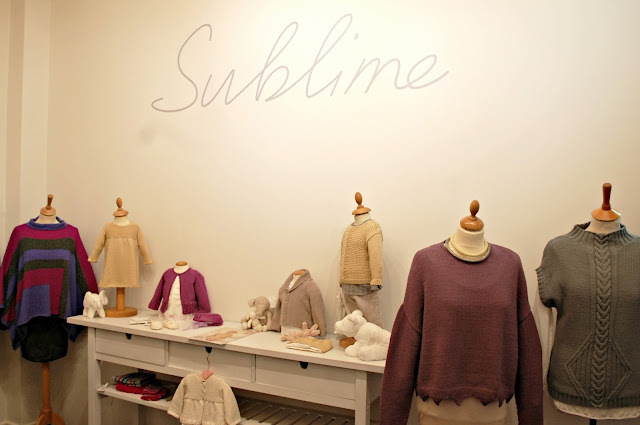 and although they work to the 2 main design and fashion periods, Autumn/Winter and Spring/Summer, they are constantly at work, releasing new designs all year round in order to break the work down into smaller, more manageable chunks. They aim to release 8 new things every 4 weeks. 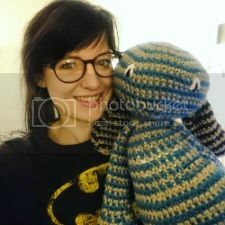 3 designers do the bulk of the design work, and some designs are bought, but the main magic all happens in the knitting room (and crochet too!). There are 9 in-house pattern writers, and people working from home as well. And even though they are knitting for a living, it was clear that they didn't tire of the creative process and still love to knit! We were told that often, they will be knitting something for work and then over lunch would pull out a personal knitting project to work on: bliss. 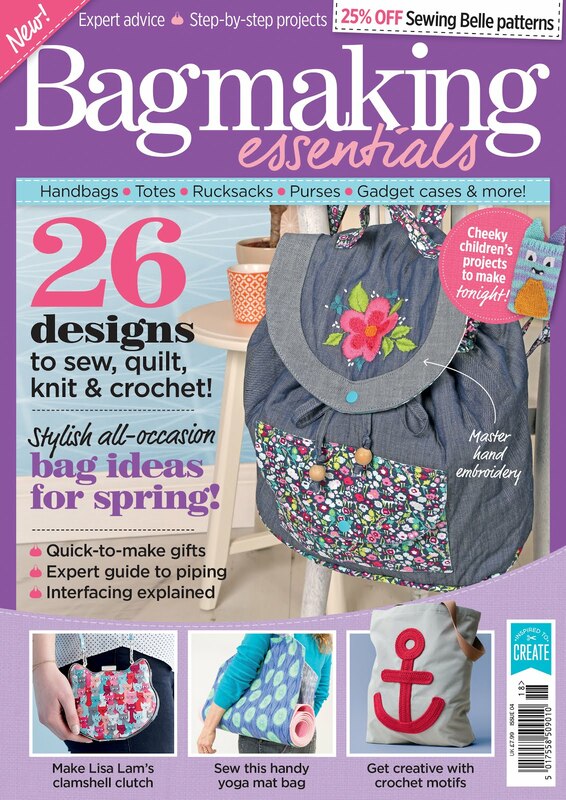 The design team are involved in the whole process, from choosing the yarns that Sirdar will supply, to printing the patterns. The sales team/reps have a lot of input into the process as well as they are the feet on the ground, as it were, and know what people want. And also what people like/don't like about how patterns are presented. Sirdar uses a fashion forecasting service to help determine what yarns and styles will be popular, and just general research takes place as well. The design process starts at the yarn, and various tests and swatches are worked up to see what will look best. Although everything doesn't work, nothing gets thrown away as they learn a lot every time through the processes, and the process of elimination in particular. For example, some yarns need very little pattern intricacy (such as bulky yarns and patterned yarns) where others might call for cables. 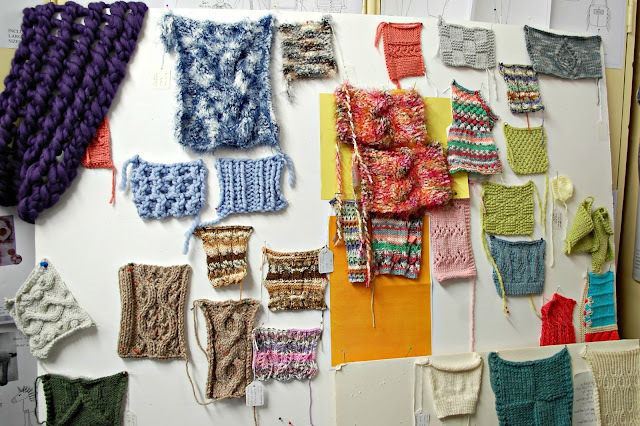 Once the samples are in place, a sketch is drawn to decide what to make with the yarn - these are very rough and dozens are put together to see what works. 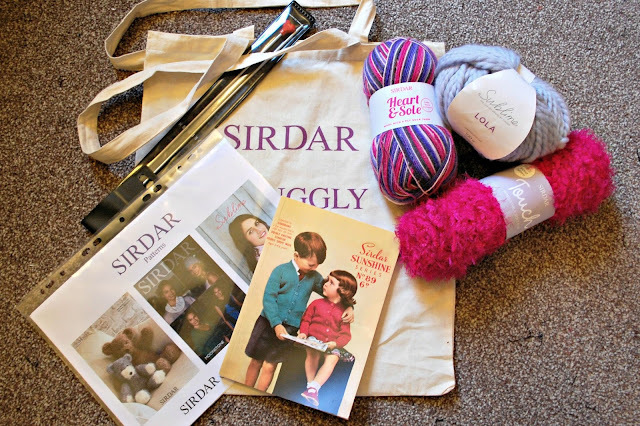 Sirdar have a LARGE photography budget, and Julie couldn't stress enough how important this was - which any knitting designer and blogger can appreciate. Photo shoots are often done abroad, simply to guarantee better and longer light (which is why you see models in woolly jumpers at the beach! I always thought that was a little odd...). Some products and yarns are photographed in the studio, where a 'clean look' is more preferable, such as for baby clothes and the Sublime yarn range. These locations also help to separate the identities of the different yarns. Sirdar have a dedicated pattern help line, which in modern days now deals mostly in email (so help-site/zine/vine might better?) however they do recieve telephone calls from time to time. 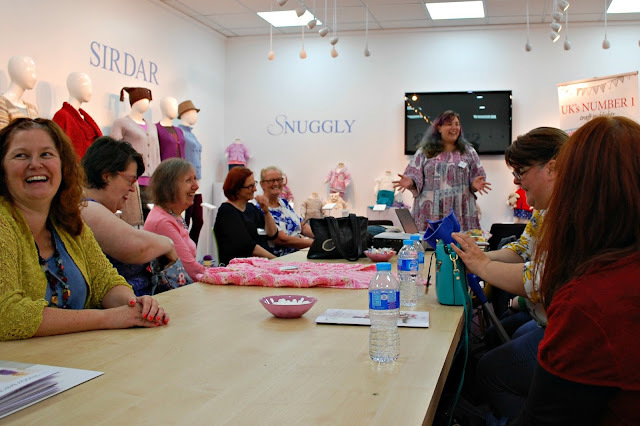 This is another example of the great care and pride that they take in the products that they supply, and Julie really summed it up for me in a conversation we had just before lunch; that although Sirdar isn't a family company, it feels like family, and some people have been working there upwards of 40 years. In the same room, the archives were housed, and we were allowed to flick through the files that help a copy of, I believe, every pattern that Sirdar has released! I do love a vintage, knitted photo shoot. 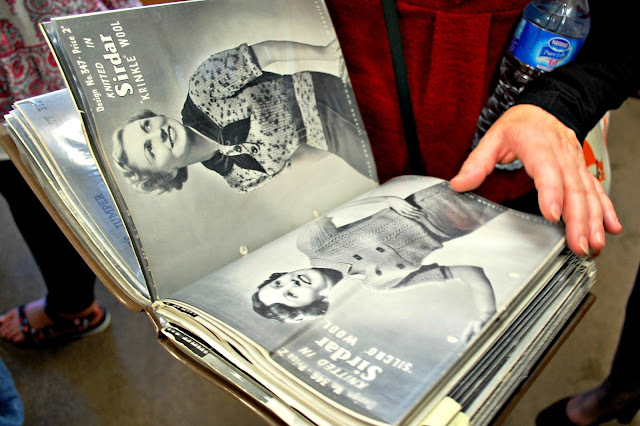 Designers will use historical patterns to help influence modern designs, and as well as the lovely pictures it was fascinating to discuss how body shapes have just changed over the years (was there a time when women have waists THAT small?). PHEW!! After a lovely buffet lunch, we were taken to the showroom which, as you can see, was just a paradise of knitted goodness and colours. We could view the new lines and patterns made up for potential buyers in a lovely room that doubled up as a conference room. Kate gave us a talk on how a knitting magazine is brought together, and our certificates were handed out for winning the competition. 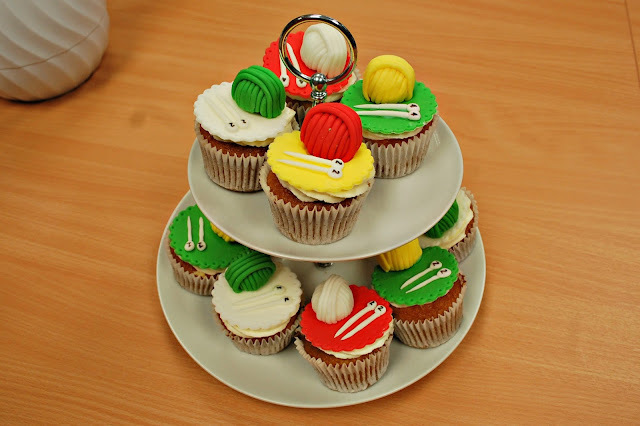 After an hour or so in that room, we were taken out for a final coffee and knitting-themed cupcake, and handed a goody bag filled with, of course, some patterns and sample yarn (EEP) I can't wait to get stuck into these. TL:DR; I had an amazing day out a Sirdar, I learnt a lot behind the wool industry and design process. 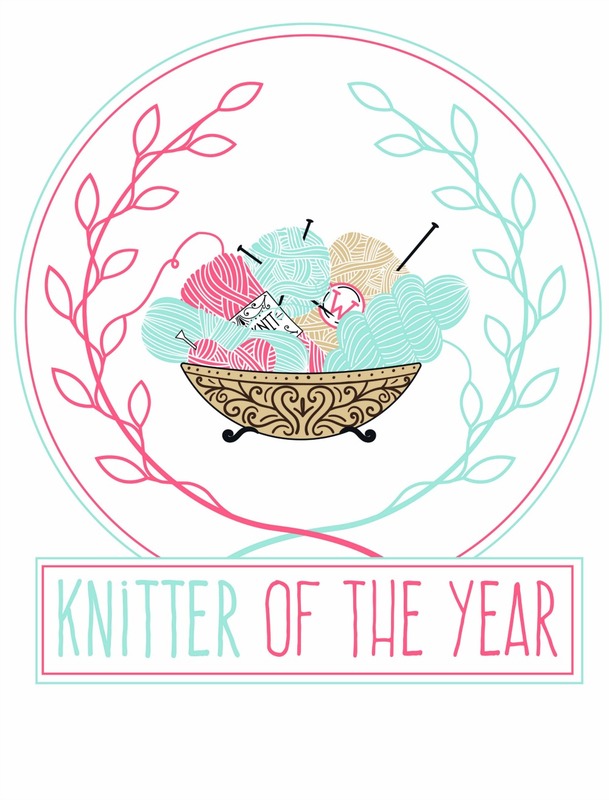 My dream is to work in a designated 'Knitting Room' and I came away with some awesome goodies. This post is written to the best of my knowledge and memory of the day. All thoughts and opinions are my own!